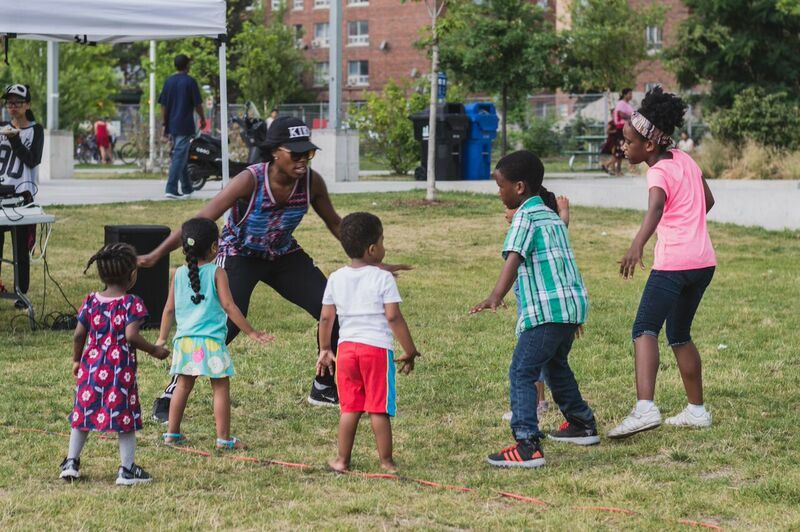 The Daniels Spectrum Summer Series brings fun programming and activities to the streets of Regent Park every summer. 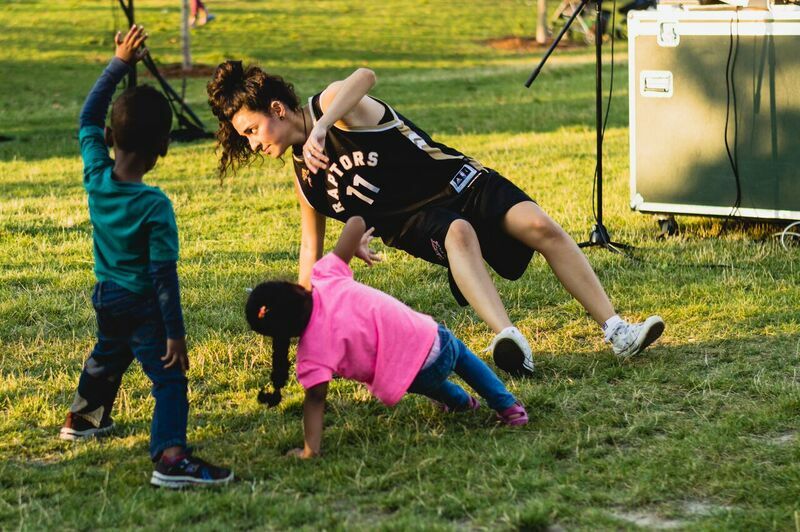 The program aims to engage and inspire young people and families, and provide meaningful training and employment opportunities.For its 2018 Daniels Spectrum Summer Series, Artscape is looking to partner with five organizations or individuals to deliver free, outdoor arts & cultural programs, events and/or installations in Regent Park between mid-July and September 2018. Interested parties are invited to read this call and submit an application by Friday May 25, 2017 at noon. 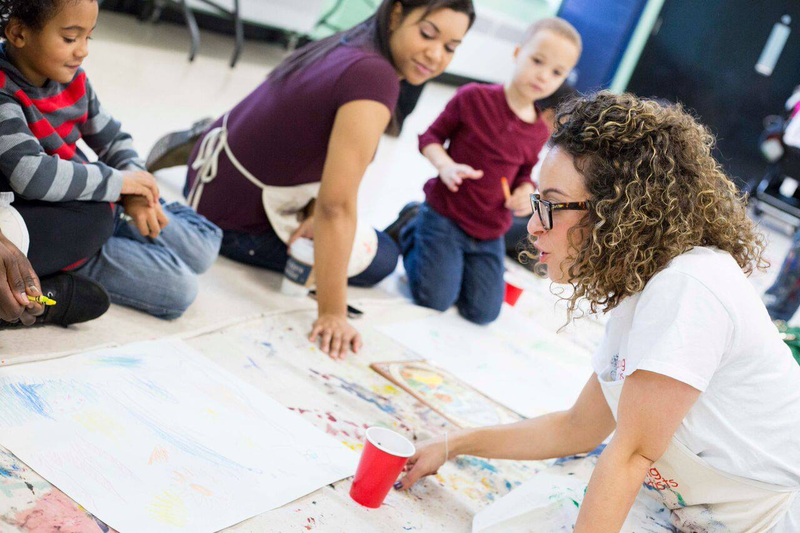 Raising Artists is an art program designed for children and parents held in SKETCH at Artscape Youngplace and the Centre for Social Innovation (Regent Park) at Daniels Spectrum. 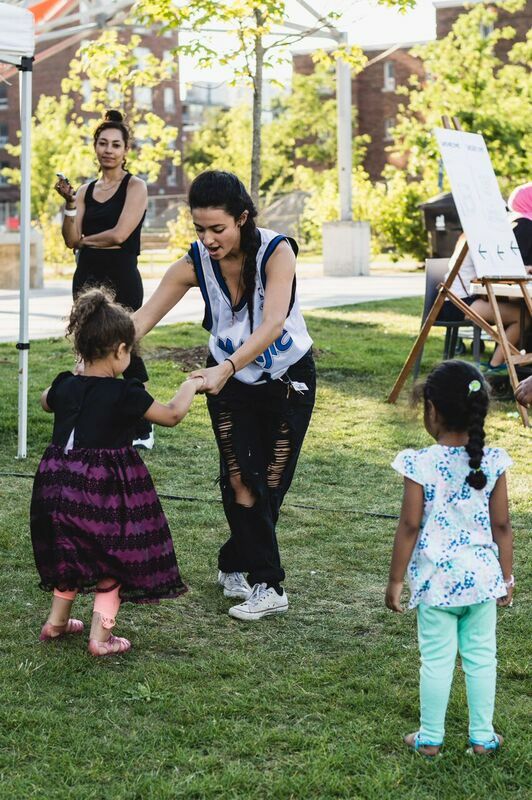 We spoke with CEO and founder, Alessandra Moretti, to learn more about how Raising Artists nurtures creativity, imagination and self-expression. 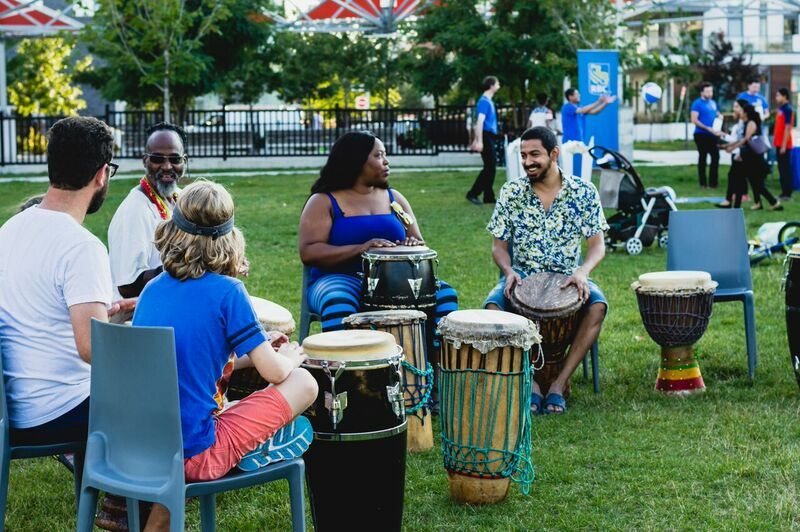 In the lobby of the Paintbox Condos hangs a remarkable quilt titled, “Regent Park: A Love Poem”, a colourful streetscape where old apartment blocks stand next to shiny new towers, children splash in a wading pool, women tend to communal gardens and families picnic on expanses of bright green grass. 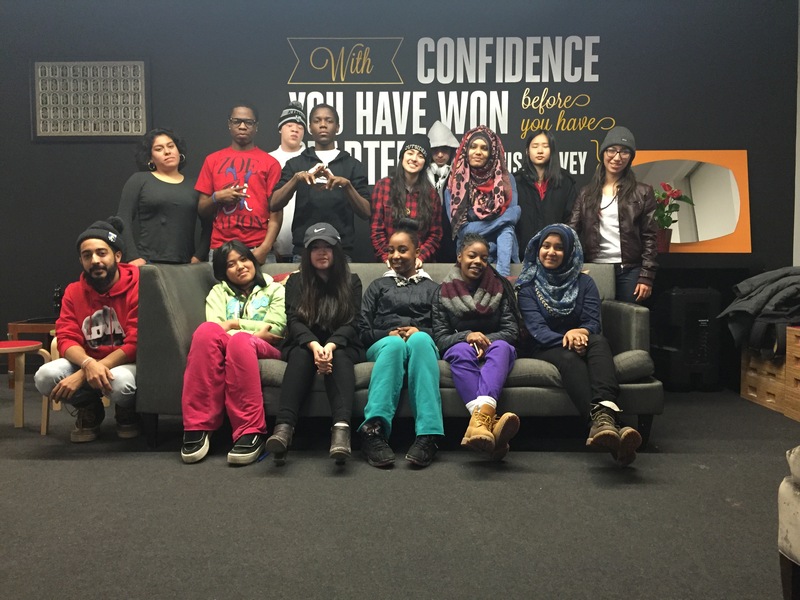 The Ada Slaight Youth Arts Mentorship Program at Daniels Spectrum is a multi-arts program that engages emerging artists from the Regent Park area. 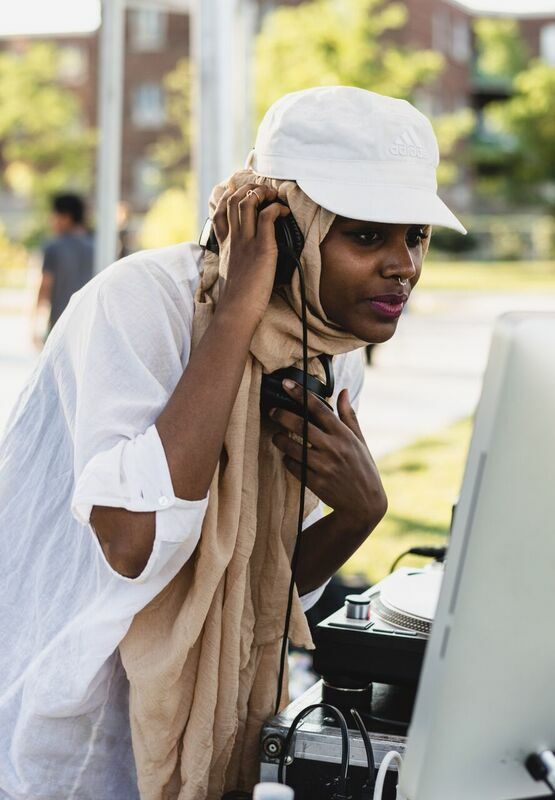 The program is designed to give them access to arts and cultural experiences, educational workshops and connects them with an industry mentor to help them take their art practice to the next level. 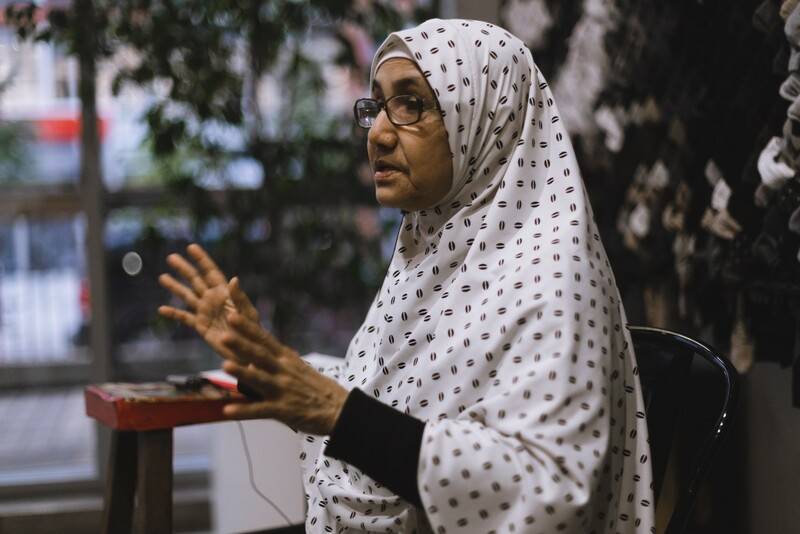 This year’s mentees included: Allison Ha, Claudia Pena, Ida Zimmerman, Lynn Nguyen, Max Zimmerman Shandel Bailey, Shira Nakabitto, Stephanie Caldeira, Subrana Rahman, Tafriha Islam and Yvie Ramos.